Do you want to connect with powerful individuals working at job placement agencies? Download our employment agency email database and simplify your search for businesses and professionals who can use your product. We verify the information on our B2B email lists every week to ensure accuracy. To cover a broad range of people working at temp agencies across the country, buy our pre-built, comprehensive employment agencies email database, but for a smaller-scale marketing campaign, you might want to try out our list-building tool instead. 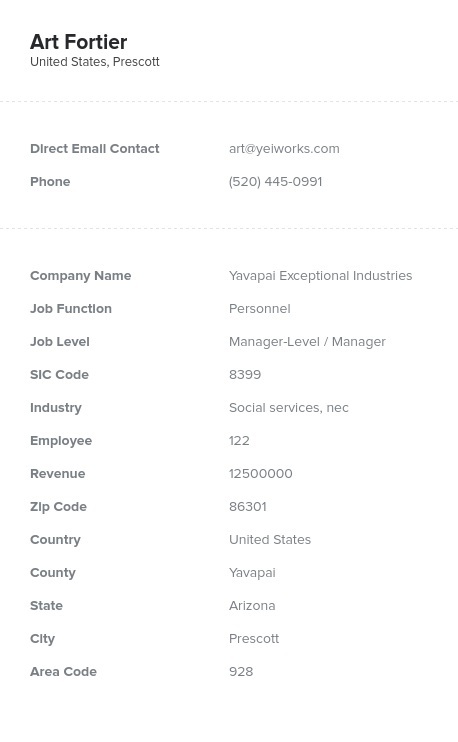 When you customize a list, you can specify the job function and title of the professionals included in your data. Also, you can select the location of the companies you see as well as the range of yearly revenue and the number of employees. A customized email list allows you to focus in on specific types of sales leads that would make your marketing efforts more efficient. Let us save you time in the process of connecting with professionals at employment agencies. We've done the footwork for you by pinpointing the information of key people in the industry. Download an email list from us today and start building relationships that can benefit the bottom line of your business.